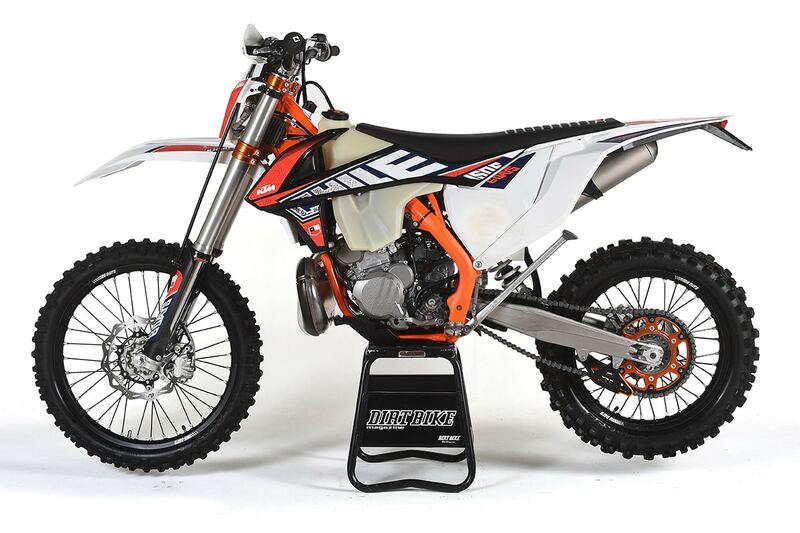 Everyone knows about the KTM Factory Editions that come out just before the Supercross season starts, but there’s an off-road counterpart that sometimes goes unheralded. 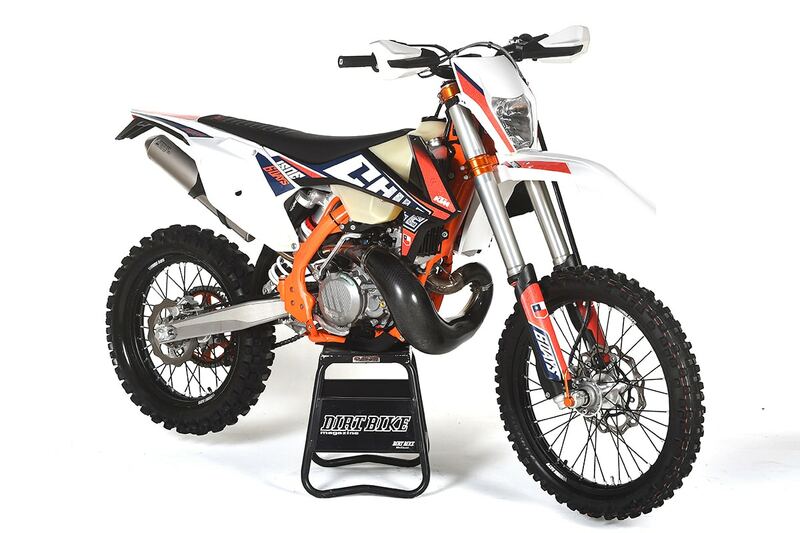 KTM releases the Six Days Special Editions just prior to the start of the ISDE each fall. We don’t usually get to test them because they sell out quickly, but this year we got the chance to check out a 2019 KTM 300XC-W Six Days Edition. It was purchased by Tom Webb’s brother Tipper, and he loaned us the bike for a day. The Six Days Edition isn’t that different from a standard 300XC-W. This year it got TPI fuel injection, just like the standard model. 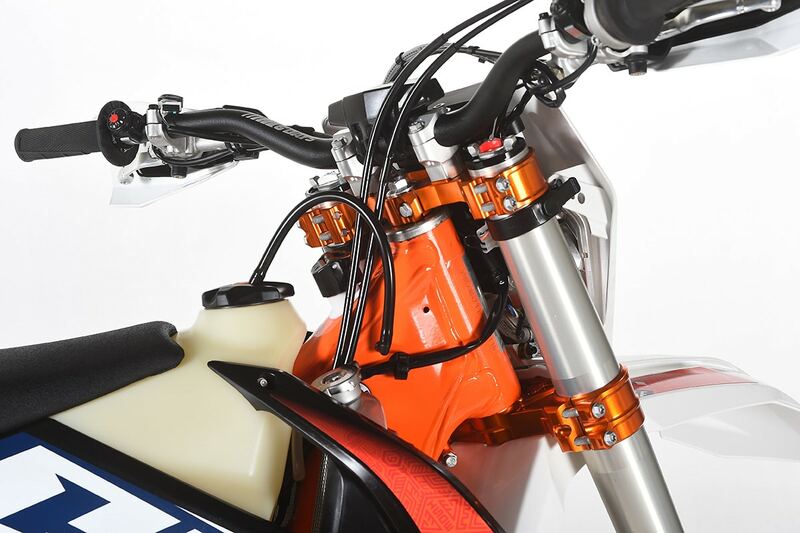 The XC-W has PDS rear suspension without linkage and a coil-spring WP Xplor fork. The Six Days gets a preload adjuster for the fork and machined orange anodized triple clamps. It also has a map switch, a Supersprox 2-piece rear sprocket, a floating front brake disc, a solid rear brake disc, a Selle Dalla Valle Wave Factory Racing Seat, a skid plate and a front axle puller. There are lots of cosmetic goodies, highlighted by the Orange Frame. Six Days logos appears on the graphics, the handlebar, the silencer and the rims. Orange, orange, orange. The Six Days gets an orange frame and orange machined triple clamps. Tipper got the bike based on his brother’s advice. Tom has a long-term test underway of the standard KTM 300XC-W, and that bike is deep in test mode with different maps and a GET ignition right now. 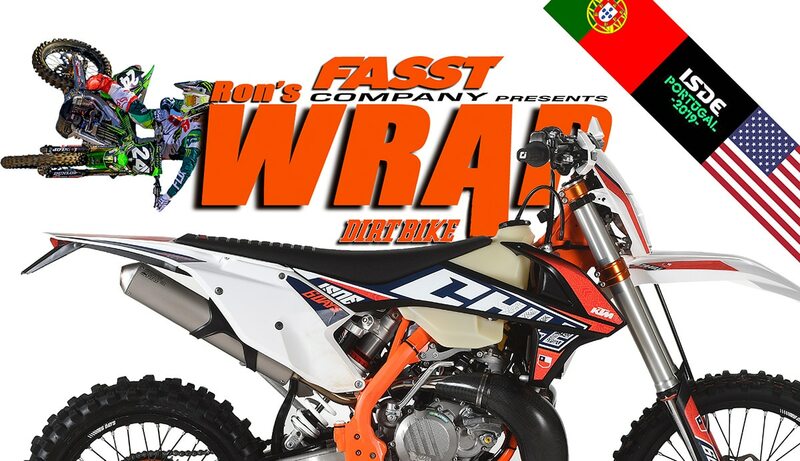 From what we learned last year, KTM isn’t shy about mid season mapping updates for the TPI system. We suffered a number of glitches early in the test with our 2018 250 TPI, but none of those were issues on Tipper’s bike. Overall, the bike’s performance is excellent. Some people say that the TPI bike feels slower than last year’s carbureted version. We didn’t have one for back-to back-comparisons, but be don’t believe there’s a real difference in power. Last year, we had both TPI and carbureted 250s at the same time, and we found acceleration was identical. The TPI bike felt much smoother and had a less pronounced hit. If you’re determined to hate the TPI bike, there’s very little ammunition. It’s a little heavier (about 6 pounds), but Tipper’s bike is still very light. It was 233 pounds without fuel on our scale. 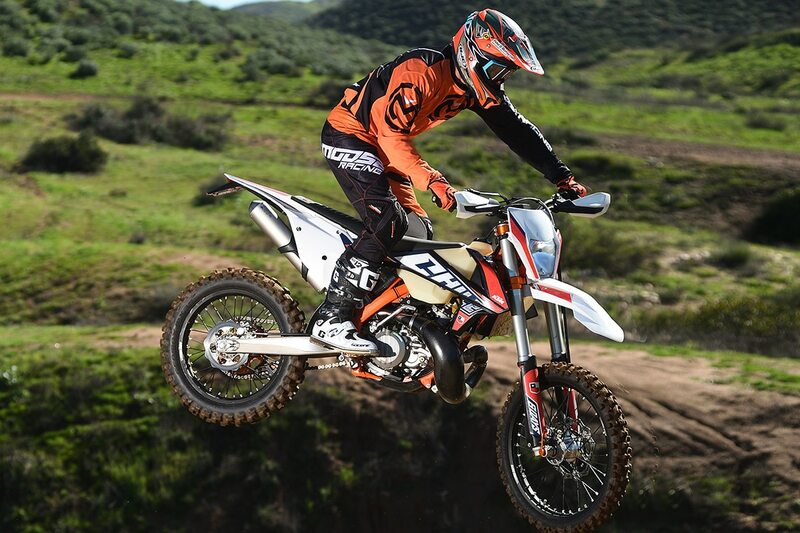 Tipper Webb’s 2019 KTM 300XC-W Six Days. It’s all stock except for the addition of an E-line pipe guard. We love the look of the bike. Frankly, that’s the biggest reason to own a Six-Days version. The fork preload adjuster is a good idea, but we never messed with it. We just love that orange frame. The extra bling carries a price, though. The MSRP of the Six Days Edition is $10,899. That’s $1000 more than the standard model. In the May, 2019 print issue we are planning a special section dealing with 300cc two-strokes. There are about 12 of them available in the U.S. right now, which is awesome for those of us who love them. Of those, some are racers and some are trail bikes, so a shootout wouldn’t be appropriate. 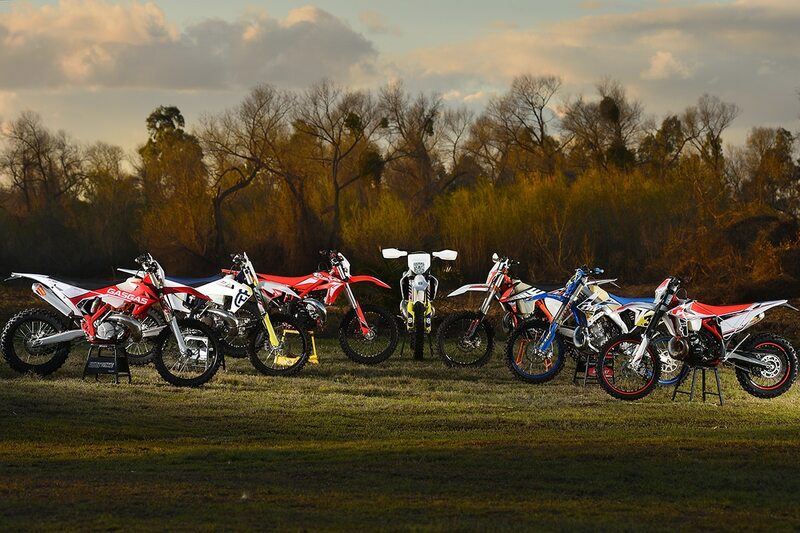 The story will explain the strengths of each bike in different applications. For the lead photo, we shot all the 300s we had on hand, but there will be more to come. When this photo appeared on social media, it caused a stir because not all brands and models were represented. Don’t worry, were dealing with as many as we can. The 2019 ISDE Qualifiers are about to get underway in two weeks, the first round being in Meridian Mississippi on February 16th-17th. The AMA has already reserved and put the down payment on our hotels which will be on the paddock site at the Algarve International Circuit in Portimão, Portugal. The travel planning will be done by the AMA to help alleviate any additional outside expenses so we look forward to a much more cost efficient trip overseas. The most up to date schedules, point standings for the series and qualifying information will be on the AMA website – https://www.americanmotorcyclist.com/Racing/Story/international-six-days-enduro As each race posts their information for their event they will be posted to the site. If you have any questions feel free to Erek Kudla at the AMA. He will be attending all of the ISDE qualifiers to assist with Letter of Intent submission, ensuring all riders who are requesting an ARAI helmet are in fact qualifying and racing with an ARAI helmet as per that agreement, and that any questions or issues can be handled right on the spot. Dean Wilson was asked to join the Rockstar Husqvarna team earlier in the year and he actually said no. He had already lined up sponsors for a private effort and wanted to make a showing for them. That’s character. The Husky team, in the meantime, was depleted with both Zach Osborne and Jason Anderson injured, so they asked again and Dean agreed. His last race as a privateer for the 2019 Supercross season came at the San Diego mud bath, which might go down in history as the most expensive Supercross ever. All the factory teams suffered incredible loss in equipment. The Dirt Wurx track crew had used lime as a drying agent mixed with the soil. The measure is sometimes helpful, but in this case, it corroded aluminum parts and burned the skin of many riders. Dean will doubtlessly be happy to have a fresh factory bike this week. 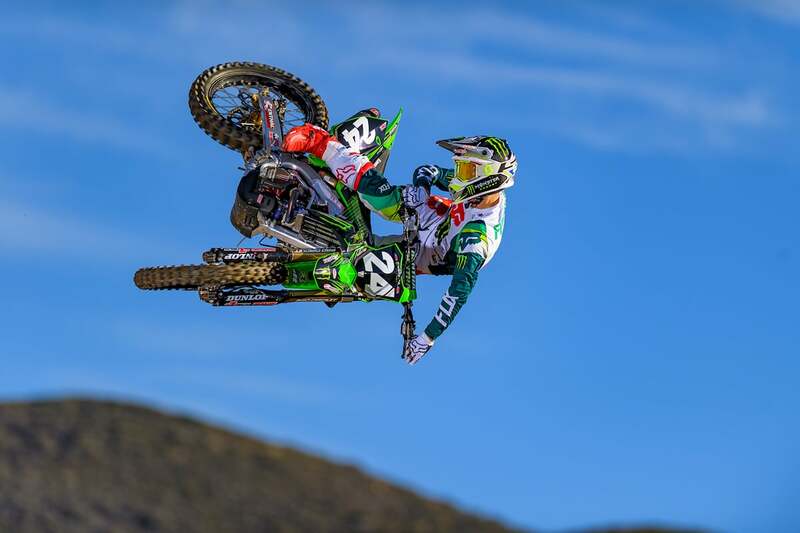 Austin Forkner of the Pro Circuit Kawasaki team will be among the riders racing for the first time this year. With the swing east, we will get to see some riders for the first time this year at Minneapolis. The 250 Eastern riders will have their first race. Monster Energy Pro Circuit Kawasaki will have Austin Forkner and Martin Davalos. 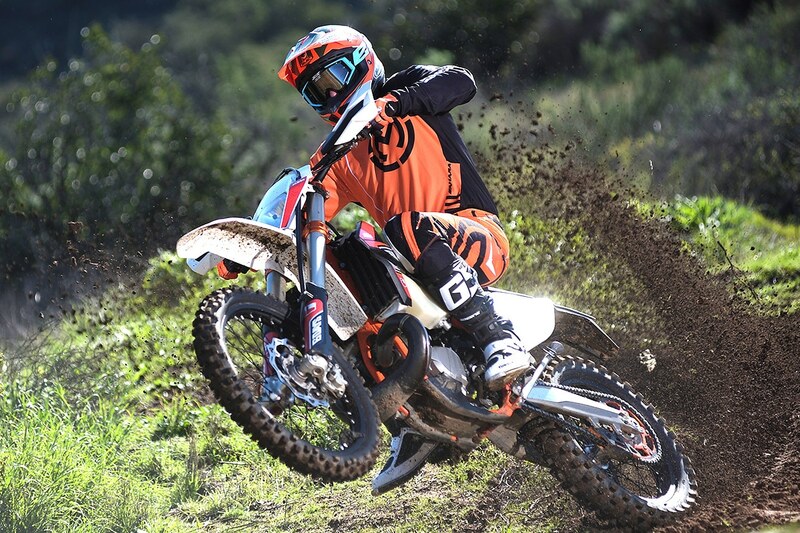 Troy Lee Red Bull KTM will bring Jordon Smith and rookie Mitchell Falk. Justin Cooper will ride on the Star Yamaha team. Thomas Covington and Jordan Bailey will ride for Rockstar Energy Racing Husqvarna, and Alex Martin will be on a JGR Suzuki with Kyle Peters. For the Geico Honda team, it will be Christian Craig, Aussie Hunter Lawrence and Chase Sexton. 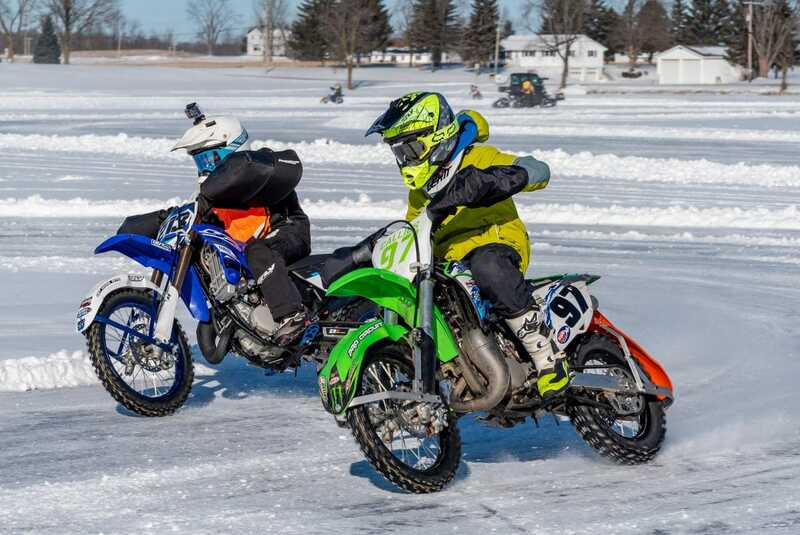 Three race teams, two youth riders and one solo rider were crowned AMA national champions at the 2019 AMA Ice Race National Championship on Jan. 20 at Kettle Moraine Lake in Campbellsport, Wis.The event, part of the Steel Shoe Fund’s annual fundraiser, featured an endurance race on a grand prix-style circuit. In the adult classes, J.R. Schnabel rode the entire three-hour endurance race on his West Bend Harley-Davidson to a victory in the Ironman Solo Class. The Schweighardt Concrete team of Ben Schweighardt, Cole Godfry and Ed Smulders won Lightweight Amateur Teams Class title. The Retriever Racing team of Pat Ryder and Terry Hahn won the Middleweight Amateur Teams Class crown. And the Harada team of Craig Pickett and Westley Westesson won the Heavyweight Amateur Teams Class title. Las Vegas, NV – February 7, 2019 – RawHyde Adventures is gearing up to introduce the world to their new 100-acre Adventure Park in the heart of the legendary Mojave Desert. This is RawHyde’s third adventure-oriented training facility and it will be debuted at the Adventure Days rally, scheduled for February 21-24, 2019. Adventure Days is an educational “Expo” and an annual weekend event traditionally geared towards adventure motorcyclists with the goal of bringing adventure riders of all experience levels together for classes, riding clinics, informational seminars, backcountry group rides, adventure exhibitors, and more. “Over the past year, we have been developing our new training facility in the Mojave Desert, called ZAKAR,” Hyde explains. 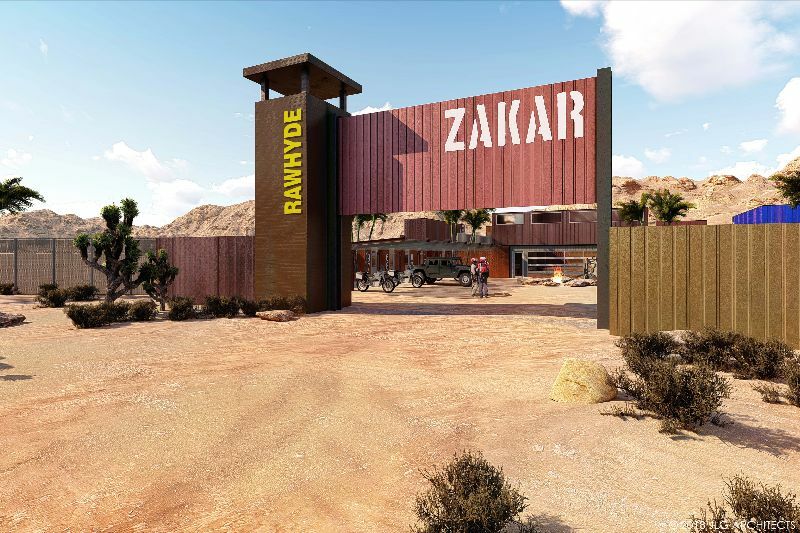 “This is the first of its kind really, a true purpose-built adventure park for motorcyclists and 4×4 enthusiasts.” While Adventure Days will serve as ZAKAR’s debut to the public, the facility will eventually host RawHyde training courses and will feature in some of RawHyde’s guided motorcycle tours.